It’s Mask Day! How about a DIY Mask from your kitchen? Comments Off on It’s Mask Day! How about a DIY Mask from your kitchen? Blend together all ingredients. Apply to face and neck. Leave on for 10-15 min Rinse clean. Spritz with your favorite toner (our neroli geranium DIY toner would be excellent, see blog post 08/09/13), and apply moisturizer. Feel how soft and smooth your skin feels and looks. Blend together all ingredients. Apply to face and neck. Leave on for 10-15 min. Rinse clean. Spritz with your favorite toner. An easy-to-make lime-distilled water toner would be great (8 oz distilled water with a splash of lime juice, shake). Keep eyes closed when spritzing to avoid getting into eyes. 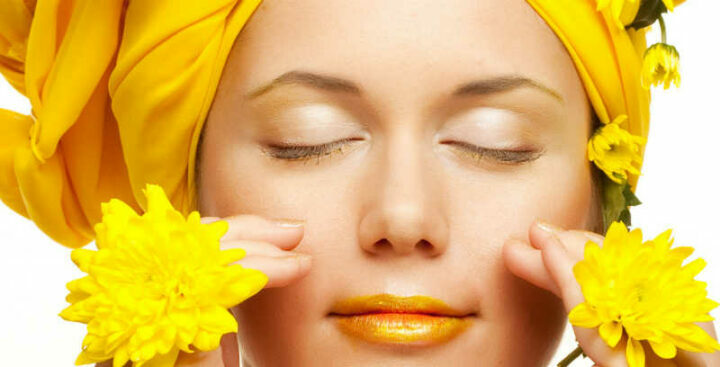 Your skin will be soft, smooth, refreshed with a beautiful radiance! Please tell us how you liked either of these two fresh fruity spring DIY masks. If you have a favorite DIY mask, we’d love to hear about it in the comment section below. Thanks for celebrating mask day with us. We hope you always feel fab in your skin, cheries!